The art of the feature is definitely underappreciated. Pick someone with a completely different style, and the song will lack cohesion and consistency. On the other hand, what’s the point of putting someone on the song who sounds exactly the same? You gotta get the proverbial porridge just right to make a feature verse successful. 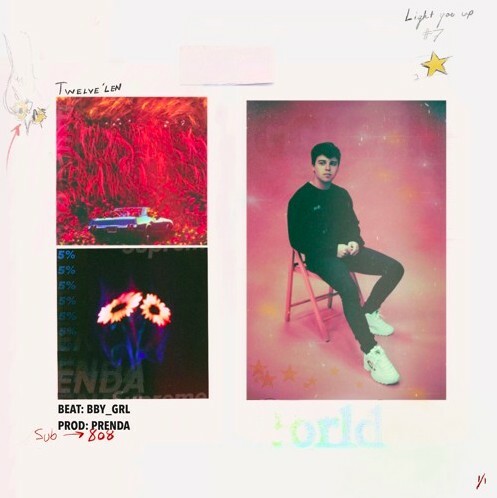 Cesar Santalo hit the (feature) nail on the head, earning his debut on here on the pages of Lyrical Lemonade with “Light You Up.” Establishing the mood, Santalo kicks off the track with his silky smooth crooning that jumps out atop the atmospheric production from Prenda. Keeping things in the Sunshine State, Santalo recruits Twelve’len, who adds a more raw feel to the cut, serving as a great contrast to Santalo’s lighter, clean approach, but still maintaining the soulful vibe. Needless to say, “Light You Up” is a stellar release for these reasons and more, so be sure to check it out below and let us know what you think in the comments!